Grew up… following around his older brother, Ryan O’Reilly. Cyril has always been loyal to his sibling, carrying out Ryan’s bidding both inside and outside the walls of Oz. 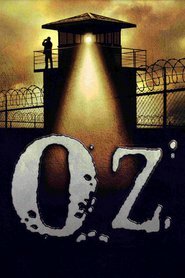 Living… in Oswald State Penitentiary (“Oz”), Unit B. Cyril finds life difficult living in a different unit from his brother, especially after being abused by the prison’s Aryan leader Vern Schillinger. The brain-damaged Cyril longs to be in the Emerald City unit, where Ryan can protect him. Profession… lieutenant for the Bridge Street Gang, an association of Irish hoodlums headed by Ryan O’Reilly. Cyril, who is mentally handicapped, needs his brother’s guidance in order to survive. Interests… his brother. Cyril has very little in life aside from his relationship with Ryan. Relationship Status... nothing on the horizon. It’s difficult for Cyril to start or sustain a relationship given his mental state. Cyril O'Reily's popularity ranking on CharacTour is #4094 out of 5,000+ characters. See our top-ranked characters and read their profiles.